Let’s face it: Even if we have the time, few of us have the money to travel every day of the year. But that doesn’t mean the photography has to stop! 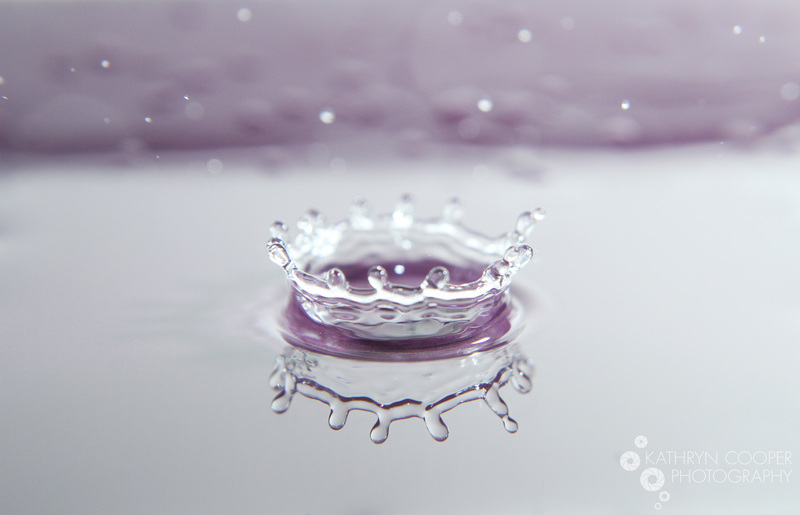 Find a free hour and set up a small mini-studio for capturing water up close, and you’ll learn quite a bit from experimentation. By using common household items such as a gimlet, the fossil of a Baryonyx’s femur, and a scarificator, it’s easy to get incredible results. Take enough frames and eventually you’ll end up with fascinating macro photos of water drops, patterns in water, water collisions, and more. Actually it’s not easy at all, but when you get the results you’re looking for, the results are awfully fun to look at! The following are some of my favorite experimental water photos, many of which I took just this week. Only a few have been edited at all; most are directly from the camera–so know no tomfoolery is involved. Enjoy, and feel free to ask about specific techniques! This entry was tagged Anti-tourist travel, antitourist, Kathryn Cooper photography, macro photography, water droplet photography. Bookmark the permalink. Coop! You’re an inspiration as always! These are amazing! Anonymous = me. Sorry about that. I have yet to try setting that up, but am always intrigued by it…love the frozen action of the water drop! that looked like fun, I’ve never tried doing this but it looks like a very cool experience. thanks for sharing them. Awesome photographs! Good idea for experimentation when not traveling. I did something during a photography class. I remember it being really fun. I should do some practice sometime. Thanks for the inspiration.